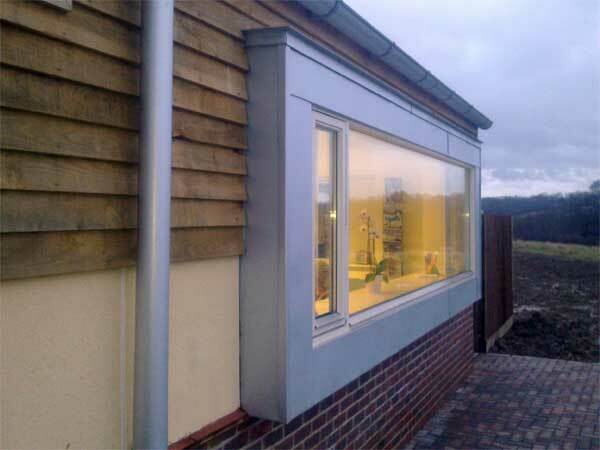 A new GPs’ surgery in Hartfield in Sussex. 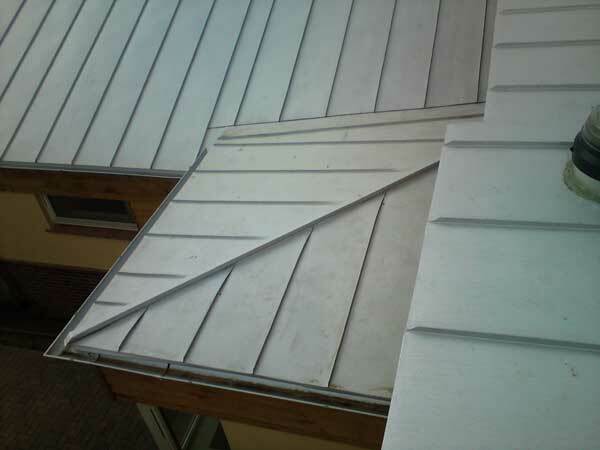 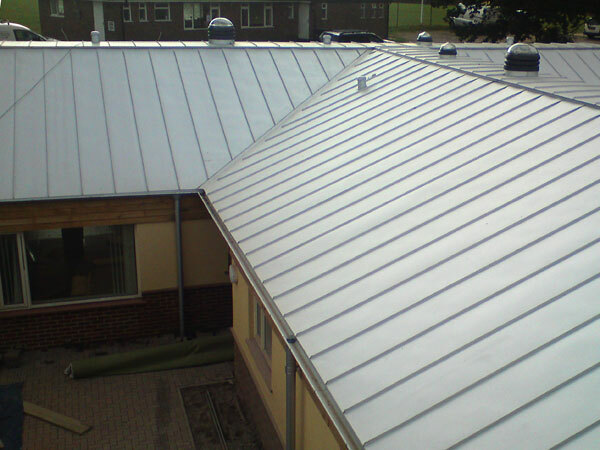 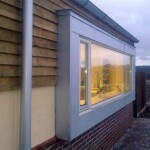 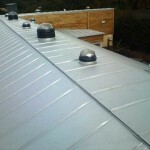 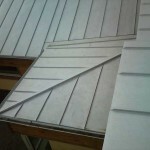 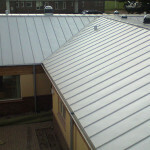 The metal used here was Lindab Aluzinc, a zinc/aluminium coated steel. 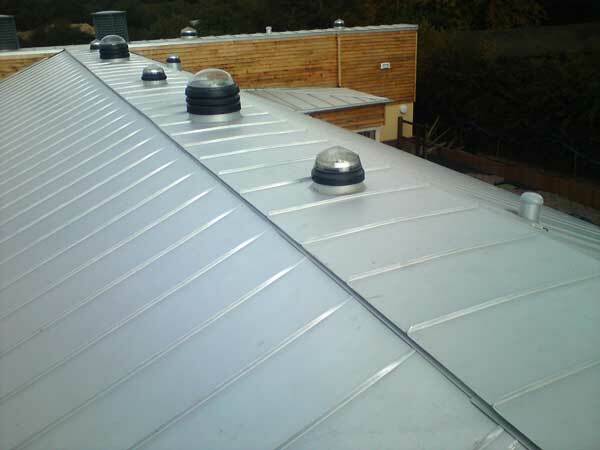 The job included gutters and downpipes and cladding to projecting windows – the roof itself had to accommodate a number of penetrations for wind and solar power devices.